COAST’s mission is to protect and restore a diverse, abundant and beautiful marine environment for everyone in Arran, the Clyde and Scotland. To make this happen, we work on campaigns and projects that promote sustainable inshore fisheries and aquaculture practices and regulation, often as part of networks, like the Coastal Communities Network, and partnerships, like the Clyde Marine Planning Partnership. We work with scientists, fishermen and the community to facilitate research that develops the knowledge base of our marine ecosystem, for effective decision-making to protect and restore valuable marine habitats and species. Establishment and ongoing management of Scotland’s only No Take Zone designated as a Community Marine Reserve in 2008 – we were awarded the Observer Eco Award in the same year. Key results show increased biodiversity, more juvenile scallops and larger lobsters within the NTZ. Preparation and submission of the South Arran MPA proposal was completed in May 2012. This 280 km² area was ratified by Scottish Natural Heritage and Marine Scotland and put to the Scottish Government in December 2012. In 2013 COAST received over 1400 responses in support of the South Arran MPA, more than any other Scottish MPA. The South Arran MPA was designated in July 2014 and a Marine Conservation Order legislating for its management measures came into effect on 8th February 2016. Worked with Fauna and Flora International to establish the Coastal Communities Network, which now comprises fourteen organisations and is growing larger and gaining a significant voice to powerfully influence policy and action to ensure that we have healthy, well-managed seas in Scotland. The run down Old Pavilion building and land was purchased in 2016 and refurbished in 2017-2018 and opened to the public in July 2018 as the Octopus Centre. COAST and Arran are recognised for marine interpretation, research and marine recreation. Our policy of advocating and campaigning is underpinned by scientific research and peer reviewed publications. By the end of 2018 we will have hosted and collaborated with over 25 MSc students, 3 PhD students from a variety of UK institutions including the University of Glasgow, University of York, University of the West of England and Edinburgh Napier University. In a survey of visitors to Arran, 34% were already aware of the NTZ on arrival and this increased to 58% on departure. Around 1500 people attended our events last year and we conducted class visits to all of the seven primary schools and the High School on the island and to over twenty schools from the mainland (c.600 children). COAST has been widely recognised for the impact they have made. 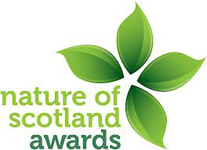 The Trust won the 2008 Observer Ethical Award, for Conservation Project of the Year, the Nature of Scotland Award for Marine Conservation in 2014 and Howard Wood, Co-founder, was recognised, on behalf of the community, through the Goldman Environmental Prize (Europe) for grassroots activism in 2015 and an OBE in 2016. In 2016 COAST obtained the “Spirit of the Community” environmental award from the Clydesdale Bank Foundation. COAST have been described as ‘pathfinders’ by George Monbiot in February 2016 and Greenpeace recently used our marine reserve as one of their three global case studies in the Protect the Antarctic Ocean campaign. Media coverage of our work and achievements stimulates the democratic debate on marine protected areas and fisheries nationally and raises the profile of COAST and Arran. The PR and marketing value of TV coverage to the economy of Arran and the Clyde from the BBC, Aljazeera, ITV as well as French and German stations is considerable. COAST features nearly every week in the island newspaper, the Arran Banner, and almost every issue of the monthly online Voice for Arran. This is reinforced by our active social media presence and regular coverage in national papers and broadcast outlets such as The Scotsman and Good Morning Scotland (BBC Radio Scotland). Just in summer 2018 COAST’s story has featured in BBC Springwatch, BBC Wildlife Magazine, Sunday Times Magazine and the Sunday Mail. For a small community organisation COAST has had real influence on marine policy in Scotland and the UK, and has driven the Clyde ecosystem restoration debate. This led to the publication of five academic marine papers. On the basis of these we urged Marine Scotland to produce the Clyde Ecosystem Review (2012) which led to a Clyde 2020 Summit in April 2014 and the creation of a Clyde sub-group within the Marine Alliance for Science and Technology for Scotland. No Take Zone research informs this debate and helps us make the case for more marine spatial management measures as an active member of the Clyde Marine Planning Partnership, responsible for a Regional Spatial Management Plan for the Clyde.